There’s a decent chance you missed the MacBook news this week. It was buried amid a flood of news as Apple powered through announcements at the WWDC keynote on Monday. Like the majority of the hardware news at the event, the differences are entirely behind the scenes — and let’s be honest, upgraded Intel processors will never be as exciting to the layperson as a Siri speaker or iMac Pro. But slowly and surely, the little machine is becoming a more well-rounded and capable device. And this latest version is some nice refinements to the system. Perhaps most importantly, the company has addressed one of the biggest complaints with last couple of models — that flat, under-responsive keyboard. It seems incidental, but as the primary method of interfacing with the machine, it amounts to a lot. The company has added the same butterfly switches you’ll find on the new MacBook Pro, so it no longer feels like typing on a flat piece surface. As much as I tried, I just couldn’t make it work.This time out, the difference is clear almost immediately. 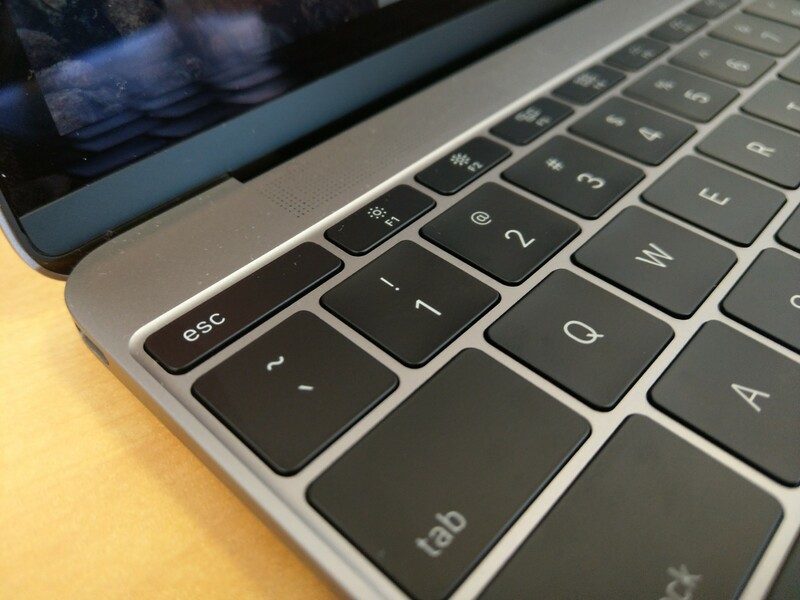 The new keys are somewhere between the last generation and an older model MacBook — which is to say that they’re still relatively flat (due, likely to the slim profile), but have a much more noticeable give. Some users will still probably have an issue with the relatively shallow typing experience, but if the keyboard was a key factor keeping you from picking the new model up, it’s worth taking for a spin the next time you’re near an Apple Store. I’ve been using the new model since Monday’s keynote, and it’s grown on me — and, honestly, am glad I didn’t bite the bullet and buy an older model. For someone who makes his living banging fingers against a keyboard, it’s a pretty important distinction. Looks-wise, the system is indistinguishable from its predecessor, which is mostly a good thing. 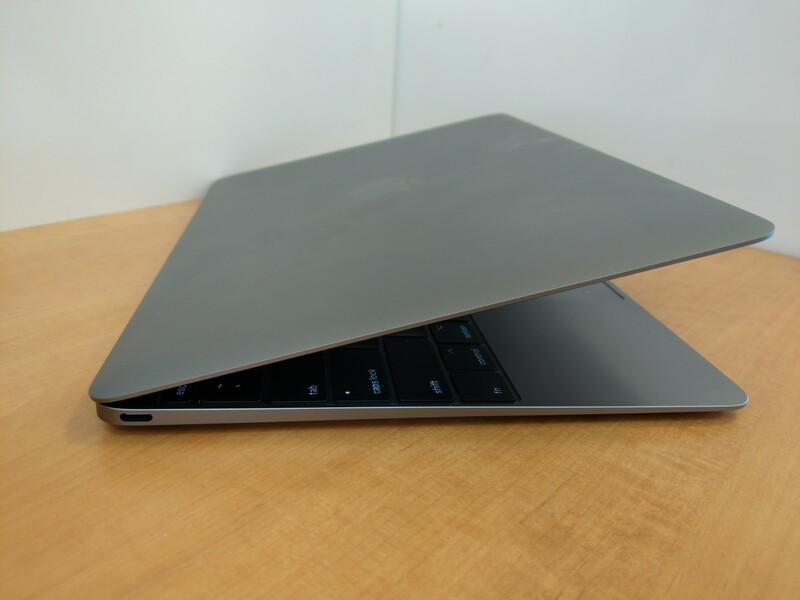 The standard MacBook is probably the best looking laptop on the market and perfectly portable. It makes my work Air look giant by comparison, making for a pretty ideal travel laptop. I’m writing this on the plane ride home. The lady in front of me slammed the seat back the instant we hit 10,000 feet, because common airline etiquette went out of fashion years ago. Switching between the computers is like night and day. Every time I move over to the Air, I find myself precariously balancing it on my stomach. The MacBook, meanwhile, can squeeze on the tray table along with a cup of coffee. The Touch Bar is still MIA here, and I wouldn’t anticipate it coming any time soon. It’s a good way for the company to maintain distinction between its Pro and standard lines. For all of the emoji-based functionality, Apple is still positioning it as a productivity tool. And, honestly, there isn’t a ton of spare real estate here. But Apple has surprised us before. Of course, some of the sacrifices made for slimness still stand. Most notably the dongle situation. While the company clearly listened to feedback about the keyboard, it’s not backing down from the controversial stance that a single USB-C port is sufficient for most of what life throws at you. That, naturally, depends on what you plan to do with the thing. While the 12-inch MacBook is a perfect laptop for tossing into a carry on bag and getting some work done on the plane, it’s not the one I would choose, for, saying, liveblogging an Apple event. That would require dongles and adapters for days. The issue will become less of a concern as the ports become more standardized, but just having the one port for power and, well, everything else, will continue to be a problem if you’re the sort of person who tends to do everything, all at once. As with all of these processor increases, you’re not going to see much of a performance difference, day to day — but running the standard Geekbench benchmark, I got a sizable boost over last year’s model, so overall things should be much smoother. Even so, if you’re planning to do any sort of real processor intensive tasks like video editing — well, that’s what the Pro line is for. Just hope the person in front of you doesn’t recline. This is pretty much exactly what you’d hope to get out of the annual upgrade from Apple. It’s got a nice performance bump (jury’s still out on full battery life testing), and the keyboard makes it a much better typing experience. The last MacBook was one of the first Apple products I’ve tested that I didn’t have much of an issue returning to the company. I just never warmed to the typing experience. This time around, it will be a little tougher to give up.